Worlds NO#1 Leadership Thinker Joins The Global Listening Centre Team! Dr. Marshall Goldsmith, world- renowned management and leadership guru and Dartmouth Tuck business professor, has teamed up as Advisor with the Global Listening Centre with effective from February 2 of this year . Author or editor of over 35 books, Dr. Marshall’s newest book, Triggers, is a #1 New York Times and Wall Street Journal best seller, as well as an Amazon Best Business Book of the Year. His two other New York Times bestsellers are MOJO and What Got You Here Won’t Get You There – the Harold Longman Award winner for Business Book of the Year. In February 2016, Amazon.com recognized the “100 Best Leadership & Success Books” in their To Read in Your Lifetime series. The list included classics and newer books – management and self-help books. Both Triggers and What Got You Here Won’t Get You There were recognized as being in the top 100 books ever written in their field. Marshall is only one of two authors with two books on the list. Journal – top ten executive educators, Economist (UK)– most credible executive advisors in the new era of business, National Academy of Human Resources — Fellow of the Academy (America’s top HR award), World HRD Congress (India) –global leader in HR thinking. His work has been recognized by almost every professional organization in his field. Dr. Goldsmith is a Professor of Management Practice at the Dartmouth Tuck School of Business. His Ph.D. is from UCLA’s Anderson School of Management where he was the Distinguished Alumnus of the Year. He is one of a select few executive advisors who has worked with over 150 major CEOs and their management teams. He served on the Board of the Peter Drucker Foundation for ten years. He has been a volunteer teacher for US Army Generals, Navy Admirals, Girl Scout executives, International and American Red Cross leaders — where he was a National Volunteer of the Year. Marshall’s other books include: Succession: Are You Ready? — a WSJ bestseller, The Leader of the Future — a BusinessWeek bestseller. Three of his books have been American Library Association — Choice Award winners for best academic business books of the year. Over three hundred of his articles, interviews, columns, and videos are available online at www.MarshallGoldsmith.com for viewing and sharing. Visitors to this site have come from 197 countries and have viewed, read, listened to, downloaded, or shared resources over 25 million times. 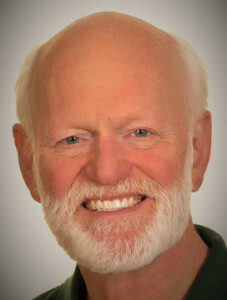 Dr Marshall Goldsmith has a great passion for Listening and has always advocated effective listening.